A one-time price of $195.00 will be added to your order. 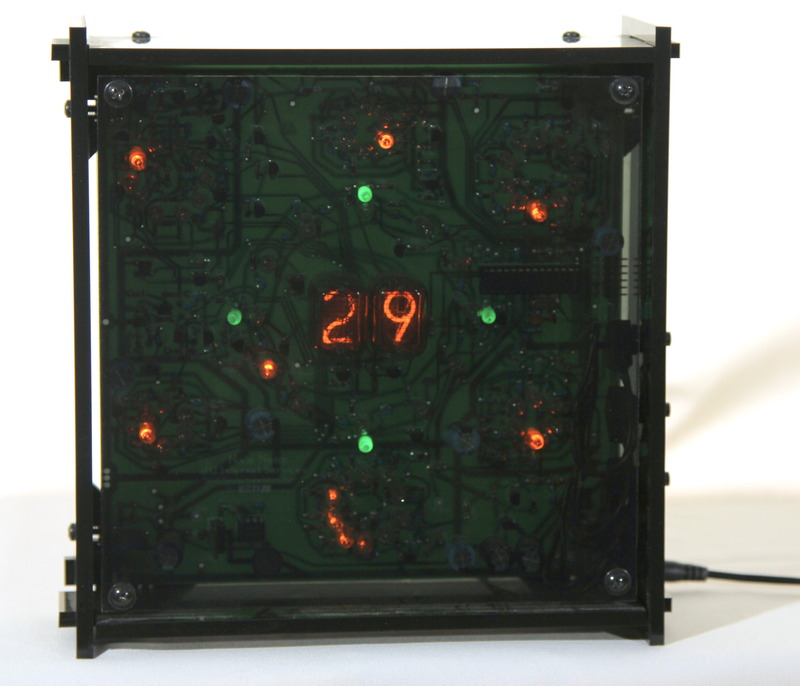 The NixieNeon is a nixie tube clock designed with ring counters built using neon bulbs to allow the viewer to see the electronics perform the actual counting of time. This electronics kit offers the builder a glimpse back in time before semiconductors became inexpensive and plentiful. 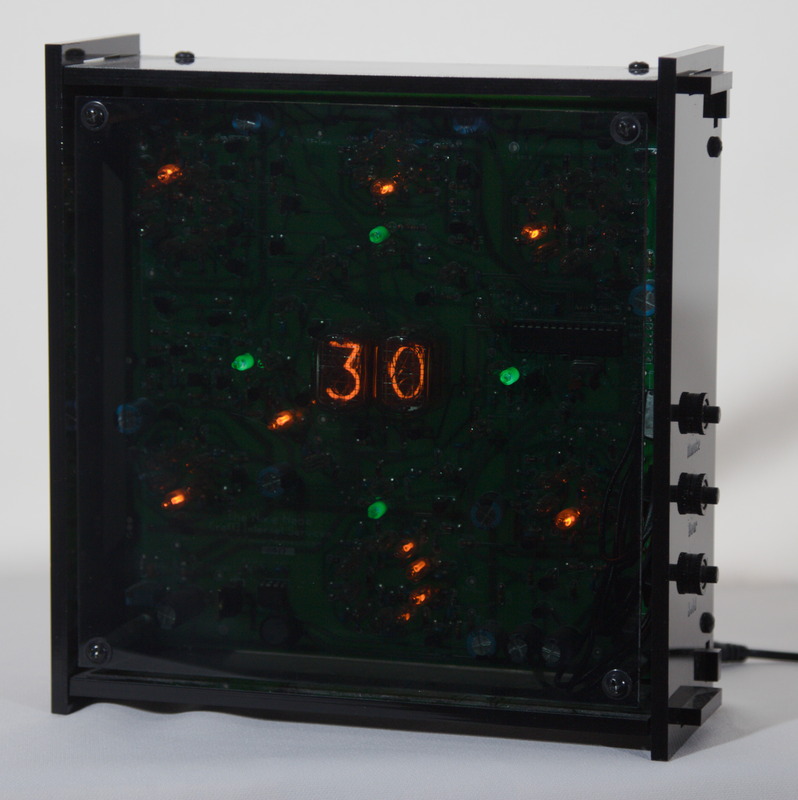 The Hour of the day is displayed using the twelve neon bulbs (the hour ring) circling the two 2 nixie tube digits which represent the minutes. The 4 green neon bulbs are for showing the positions for 12, 3, 6 and nine o’clock. They also blink to give a pendulum effect while the clock is operating. 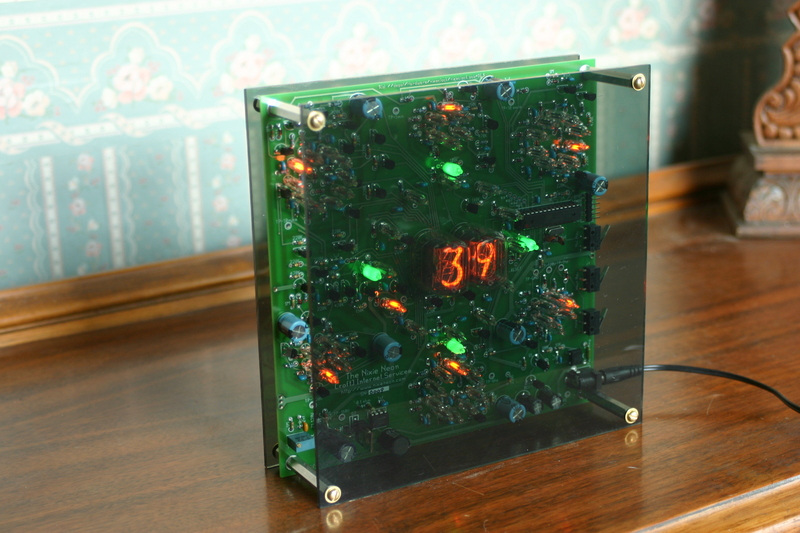 This kit now offers an optional with the RTC Module so that the clock retains it time on after power losses as well as an acrylic case. Comes with a 120VAC wall wart for use in the US. For other countries that have different power, you mist provide your own adapter.